Our spectacular planet has so many wonders to explore. However, there are some places that are just too dangerous, too protected, or maybe too special to visit—even for the most seasoned voyager. These places have been completely cut off from the outside world. This barren volcanic Antarctic Island, an Australian external territory about two thirds of the way between Madagascar and Antarctica, is considered one of the most remote places on earth. The 368-square-mile landmass is mountainous, has 41 glaciers and is also home to an array of wildlife including penguins, seals, and marine birds. 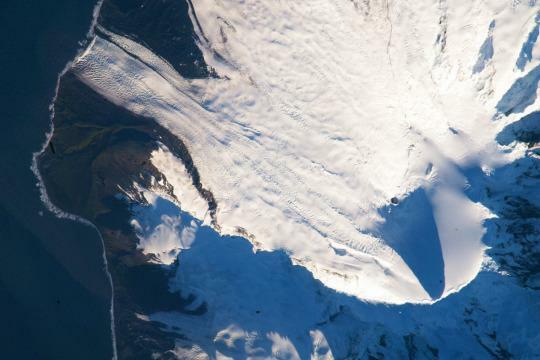 However in 2000, the University of Hawaii noticed a two-kilometer-long lava flow coming from the southwest side of Mawson’s Peak, a 2,745-foot-high complex volcano which has been active ever since. Aside from the volcano and its dangers, the weather on the island is notoriously poor. Plus, its a minimum two-week sail to any other major land mass — making it one of the most dangerous, and hardest places in the world to access. 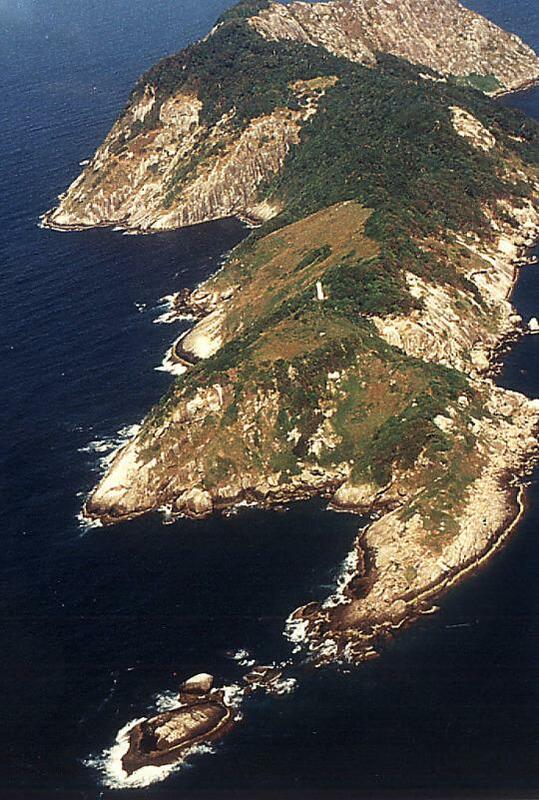 Ilha da Queimada Grande, or Snake Island, as it is more affectionately known, is a 43-hectare island located of the Brazilian coastline, approximately 20 miles from the Sao Paulo shore. The island is home one of the globe’s most deadly species of snake, the Golden Lancehead Viper, who’s venom can eat through flesh. There are more than 4,000 of them on the island, but local lore suggests that there is one snake for every five square meters of the land. Whatever the case, the Brazilian government has prohibited any visitors from setting foot there with one exception: Every few years the government grants a handful of scientists a permit to study the snakes. This small, heavily forested island in the Bay of Bengal is completely encircled by coral reef, making it difficult to approach by boat. However, its inaccessibility is not the main obstacle to a visit: North Sentinel Island is inhabited by a small indigenous population known as the Sentinelese, who have rejected contact with all other peoples — they are among the world’s last communities to remain untouched by modern civilization. In 2008, two fisherman whose boat accidentally strayed too close were reportedly killed by the tribe. And in the wake of the massive 2004 Indian Ocean earthquake and resulting tsunami, research helicopters assessing the damage in the area were attacked by the Sentinelese, who shot arrows and threw stones as the aircraft flew over the coastline. This complex series of caves, located in Northwestern France, is home to one of history’s most famous examples of Paleolithic cave paintings ever discovered. The ancient artwork is believed to be over 17,000 years old and depicts mostly images of large animals that have been proven through fossil excavations to have been living in the area at that time. The caves are even listed as an UNESCO World Heritage Site. However since 2008, the caves have been completely closed off to the public following a fungal outbreak, with only a small handful of scientists allowed to enter for just a few days a month in order to study the paintings. This small island is located between Venice and Lido within the Venetian Lagoon in northern Italy. Throughout its history, it has been home to a fort, used as a shipping check point, been a quarantine station for the Bubonic Plague, and since the turn of the last century, there has been as an asylum. In 1968, the psychiatric hospital was closed down and the island was abandoned. 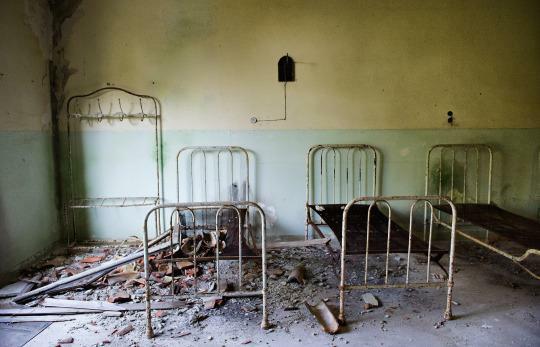 It’s no wonder — Poveglia has long been considered one of the most haunted places on earth. Rumor has it that the ghosts of plague victims, war victims, and the ghost of a murderous asylum doctor roam the decaying grounds. The Italian government offered the island up for long term lease (99 years) in 2014 in the hope that someone would redevelop the land. Buried deep within the walls of Vatican City, and mostly underground, are the Vatican Secret Archives, which house the immense history of the acts of the Holy See, along with historic documents, state papers, papal account books, and other official correspondence, some of which dates back to the eighth century. Items include letters from Michelangelo, a letter from Mary Queen of Scots written while she was awaiting her execution, and King Henry VIII’s request for a marriage annulment. The archives, which are the official property of the current pope, have been estimated to span over 52 miles of shelving with more that 35,000 items. Other than a very small staff who take care of the archives, access is strictly limited to qualified scholars from very select higher education and research institutions, all of whom have to undergo an rigorous access application process to be granted entry. 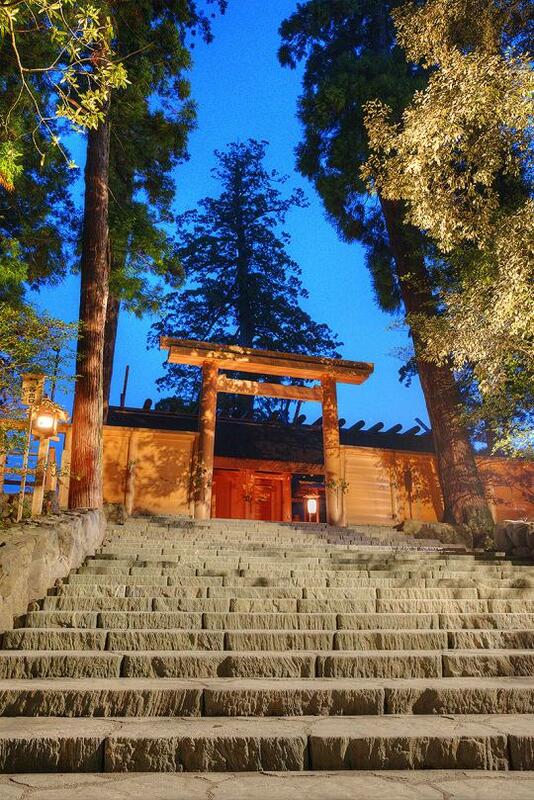 This Isa Shrine, located in the town of Uji-tachi in the Mie Prefecture of Japan, is a Shinto shrine complex dedicated to the goddess Amaterasu-omikami, which consists of two main shrines and about 125 secondary shrines. While the location of the shrine is said to date back to the third century, the standing structures have been dismantled and replaced every 20 years — most recently in 2013 — consistent with Shinto beliefs regarding death and renewal. One of the main shrines is believed to house the ‘Sacred Mirror,’ called Yata no Kagami, part of the Imperial Regalia of Japan. From outside, little can be seen except a fence and the buildings’ thatched roofs. Access is restricted to just the high priestess or priest, who has to be a member of the Japanese Imperial Family. 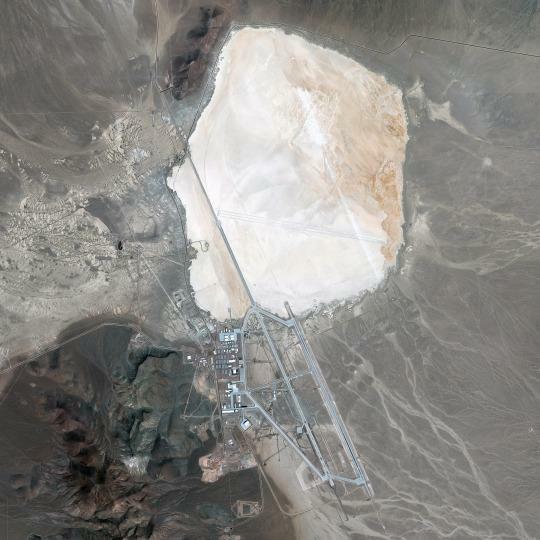 No list of prohibited places would be complete without a mention of Area 51 — the nickname for a remote detachment of United States Air Force facility Edwards Air Force Base, located in Southern Nevada. The facility is shrouded in secrecy and while it has long believed to be a testing facility for experimental aircraft and weaponry, conspiracy theorists favorite theory that the base is where the U.S. government examines and stores a crashed alien space craft and the alien occupants, including evidence from a supposed alien crash landing in Roswell, New Mexico in 1947. While the area surrounding Area 51 is a popular tourist destination for alien enthusiasts, access to Area 51 itself is completely prohibited, except to intelligence and military personnel with special clearance. The airspace above the base is also a no-go area and is rumored to be protected with anti aircraft weaponry and fighter jets. The tomb of China’s first Emperor, Qin Shi Huang, who died in 210 BC, is buried deep beneath a hill in Central China. 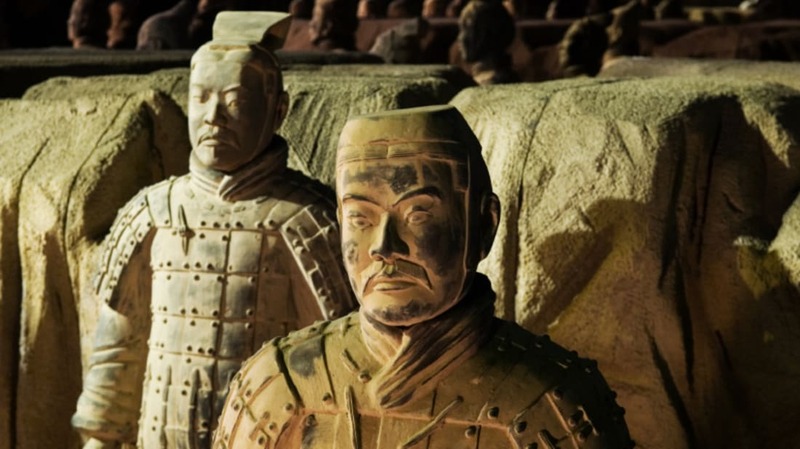 The burial complex consists of a complicated network of underground caverns that were filled with all the things the emperor would need in the afterlife, including clay reproductions of his armies, family, servants, horses, and staff, widely known as the Terracotta Army. Since its initial discovery in 1974, over 2,000 statues have been excavated, each of them completely unique, and experts believe that there may be more that 8,000 in total surrounding the central tomb, still yet to be uncovered. However, the Chinese government might never allow the excavation of the emperor’s tomb, choosing to respect the ancient burial rites. So while tourists can catch a glimpse of the emperor’s clay army during a site tour, the ancient warrior’s main tomb may remain undiscovered indefinitely. The Svalbard Global Seed Vault is a vast subterranean seed bank and storage facility on the Norwegian island of Spitsbergen, around 800 miles from the North Pole, built 400 feet into a mountainside. Officially opened in February 2008, the facility now stores around 840,000 samples of 4000 different species of seeds, from all over the world. The idea behind the seed bank is to provide a safety net against accidental loss diversity in the case of a major global or regional event. It functions much like a safety deposit box at the bank, allowing organizations or governments to ‘deposit’ seed variations in the vault for safe keeping, and only they have access to their deposits. The 11,000-square-foot facility is protected by highly advanced security systems and access is strictly limited to a handful of employees.